GigMasters recently exhibited at the BizBash Expo in New York City, and we had a little help from our friends. 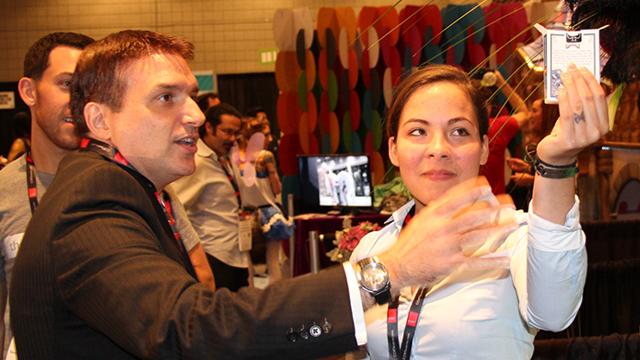 Magician Chris Anthony created a buzz around our booth with his mind-blowing tricks. If you have a minute (literally) find out how he got involved with GigMasters. Read more info and booking details for Chris Anthony Magic here.